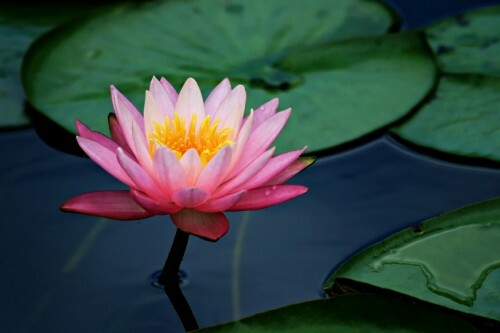 In Hindu mythology, the lotus is a symbol of creation. The holiest of flowers, the beautiful lotus is symbolic of the true soul of an individual. It represents the being, which lives in turbid waters yet rises up and blossoms to the point of enlightenment. I like thinking about the lotus. I like the idea that out of the dark murky water something infinitely beautiful can emerge. It gives me hope.